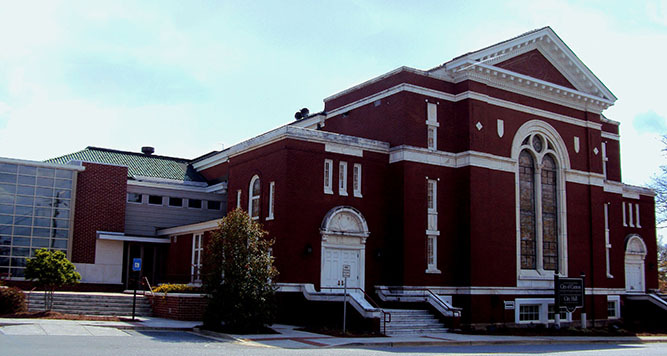 The City of Canton, Georgia City Hall building is a converted 16,000 square foot church built in approximately 1920. 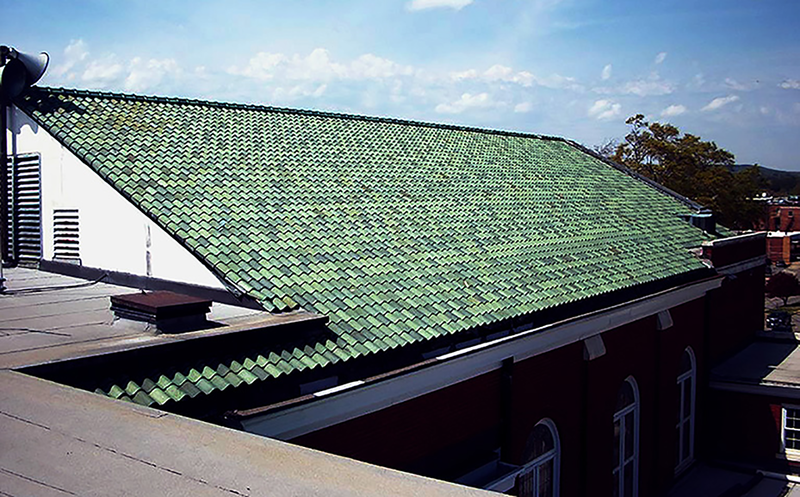 The roof system over the sanctuary is a Ludowici Imperial Clay tile with copper flashings and copper internal gutters. Other areas have low-sloped built-up roofs. Since moving into the building, they have had to contend with a number of roof-related leak issues, and with little success. 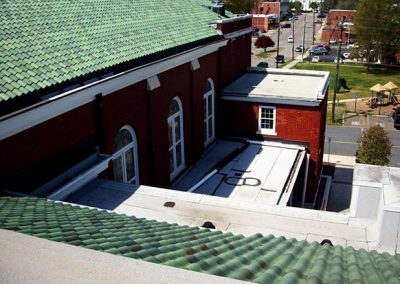 Most leak issues are associated with the failure of flashings and leaking gutters. 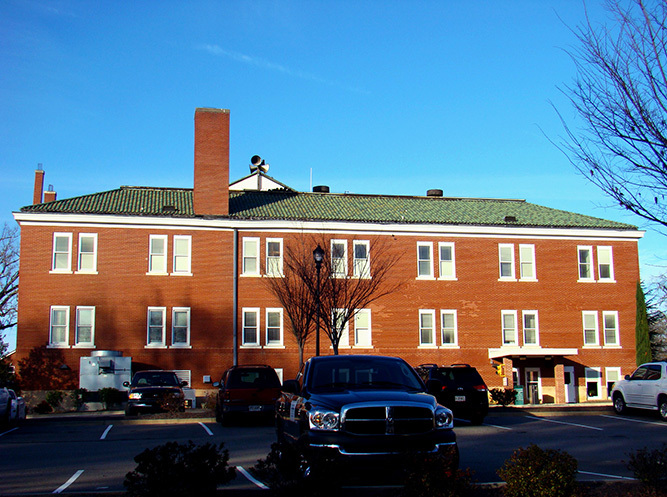 Raymond Engineering was retained to evaluate the condition of the various roof assemblies and prepare a report of findings, along with recommendations for roof replacement and repair. 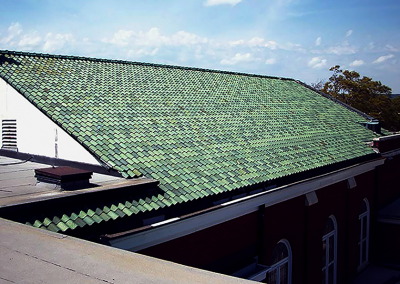 Additionally, we provided cost estimates for the removal of the existing clay tile roof and re-installation after applying a new underlayment and copper flashings/gutter system; with an option to remove the existing clay tile roof assembly and install a new standing-seam metal roof system. 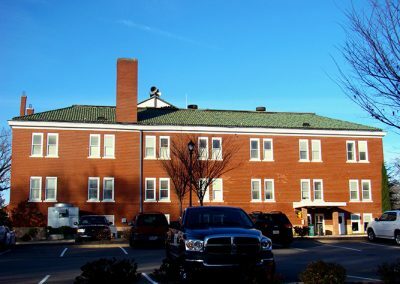 City Council reviewed the evaluation and additionally secured Raymond Engineering to design the removal/re-installation of the clay tile roof along with selected roof replacement of the built-up roof areas. 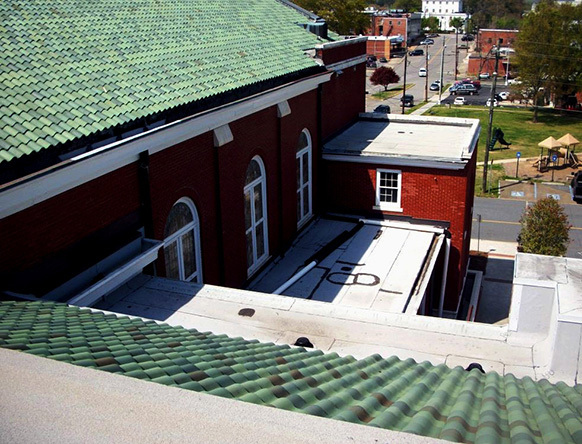 We devised a new design for the drainage system because there were lower roof areas where the existing drainage system was overwhelmed by flows from upper roofs. Additionally, there were an insufficient number of downspouts taking water from several roof areas to an underground drainage system. Our design will restore these issues. We had to contend with the complication that no drawings of the building existed.